Going back to school is usually a fun and exciting time of the year, but it can also occasionally cause stress. This is especially true for high-achieving, low-income students and their families due to the high cost of school supplies these students need to succeed. Moreover, over the past several years, the cost of the items families are expected to supply their students with has skyrocketed. Fortunately, there is help. There are a number of nationwide campaigns to collect school supply donations and distribute them to students in need, and there are countless more local community groups that do the same thing. Here are just a few you should know about if you would like to donate supplies, need supplies for yourself or your child, or are a teacher needing supplies for your classroom. The Salvation Army—As it does with a number of basic necessities, the Salvation Army accepts donated school supplies and provides them directly to families in need through their thrift stores and special events. Contact your local branch for more information. Stuff the Bus—This is a campaign administered by United Way and its corporate partner, Walmart. Customers can donate supplies at their local Walmart, which are then delivered to schools in the local community to benefit those students who cannot afford school supplies. The Kids in Need Foundation—A network of local resource centers nationwide provides classroom school supplies for teachers from designated school districts that have at least 70 percent of their students enrolled in the federal free lunch program. 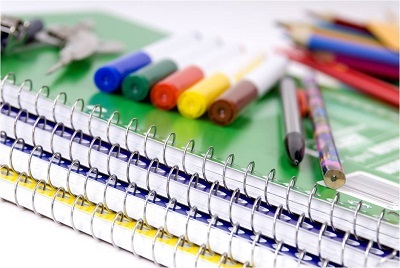 State and local government assistance agencies—Various jurisdictions have their own assistance programs for all different kinds of needs; some of these make school supplies available to low-income families. Sometimes local services like police and fire stations collect and distribute school supply donations as well. Local community groups—Reaching out to these groups is often the single best way to both donate or receive supplies because they are so close and aware of local need. Local churches and community organizations such as Kiwanis often accept and distribute school supply donations. Resources like food pantries and shelters sometimes offer school supplies as well.